This solo exhibition was made possible with support from the Sustainable Arts Foundation and the Rasmuson Foundation. It was presented at the Anchorage Museum at Rasmuson Center as part of the Patricia B. Wolf Solo Exhibition Series with support from the Alaska State Council on the Arts, the National Endowment for the Arts, a federal agency, and the Anchorage Museum Foundation's Alaska Airlines Silver Anniversary Fund. 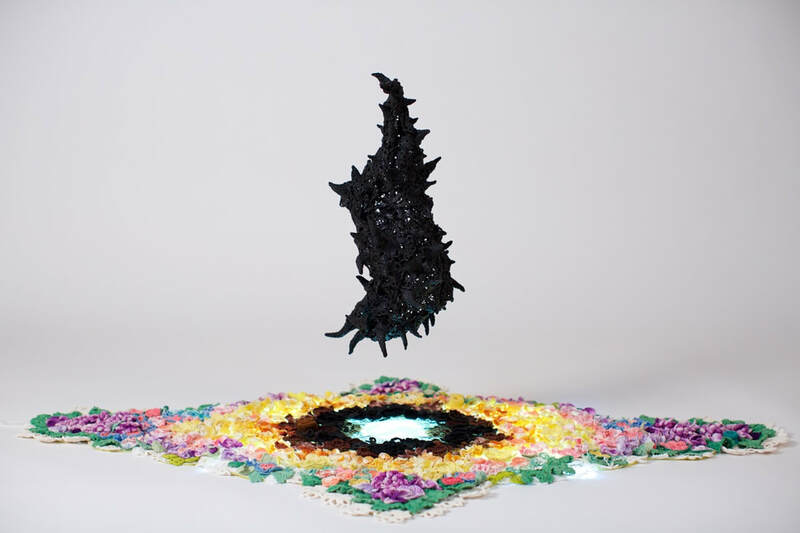 It later traveled to the Alaska State Museum in Juneau as part of their 2017-2019 Solo Artist Exhibition Series. Selected works from the Inheritance Project. "Descent," (suspended component: 9" x 20" x 9", flat assemblage: 35" x 53") Vintage doilies, silk organza, rubber, wire, epoxy clay, light, 2017. "War Room," detail. (46"W x 62"L x 3"D) Vintage baby quilts, abandoned embroidery & domestic/household linens, upholstery foam, tapestry needles, 2017. 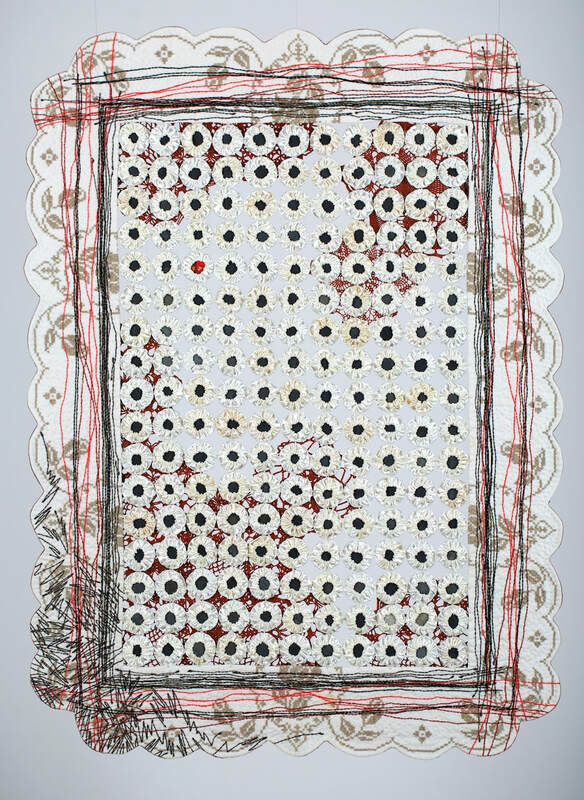 "Materfamilias," (75"W x 85"H) Abandoned quilt, vintage doilies & unfinished embroideries, wool, silk organza, stones, 2017. "Fatigue Threshold," (54"W x 79"H) Abandoned quilt, vintage doilies & upholstery, bedding, wool, silk organza, 2016. "The voice of this cloth is so strong I wanted you to have a piece of it. 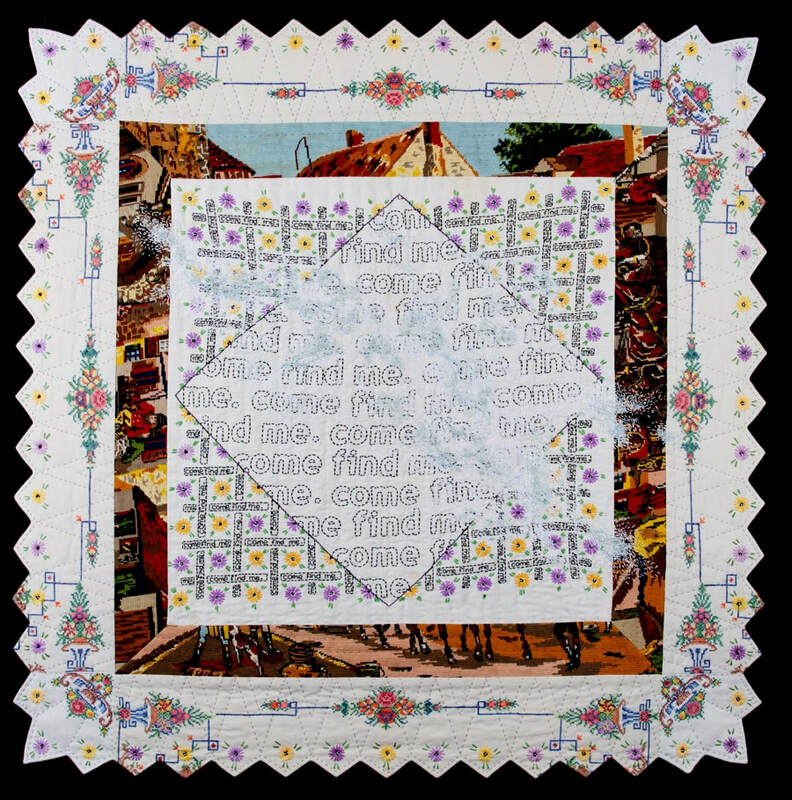 Amelia [the maker] was incarcerated in the Detroit House of Correction for killing her abusive husband..."
"Snowblind," (47"W x 47"W) Vintage domestic/household linens, abandoned needlepoint, embroidery, 2017. Private collection. "Hysteria," (approx. 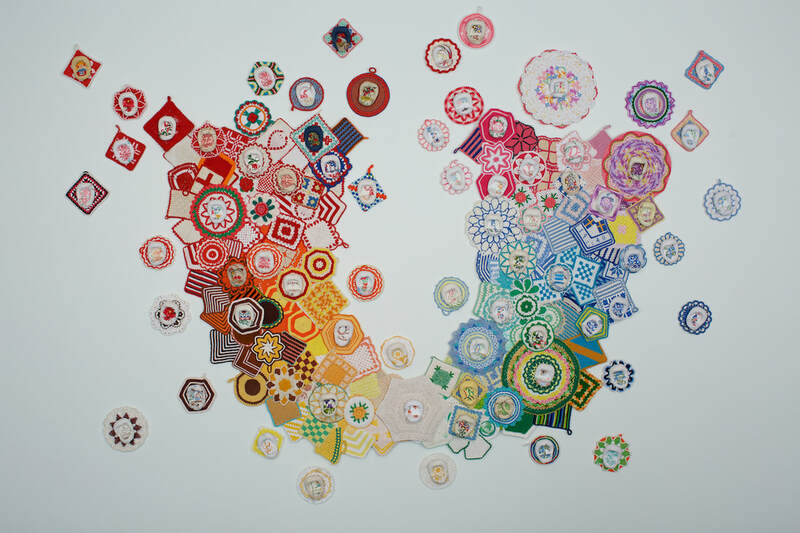 105" W x 95" H) Vintage potholders, doilies, domestic/household linens, abandoned quilt, 2018. "River," (36 ½”W x 20’ 10”L). 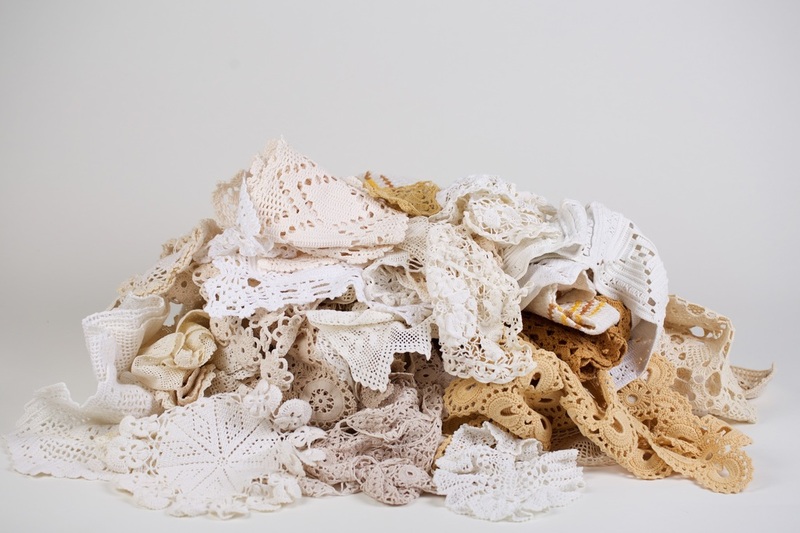 Vintage domestic/household linens & doilies, abandoned embroideries, silk organza, cotton, linen, wool, 2018. "Cherry," (33"W x 45"H). Vintage bridal satin & linens, stones, abandoned needlepoint, 2018. 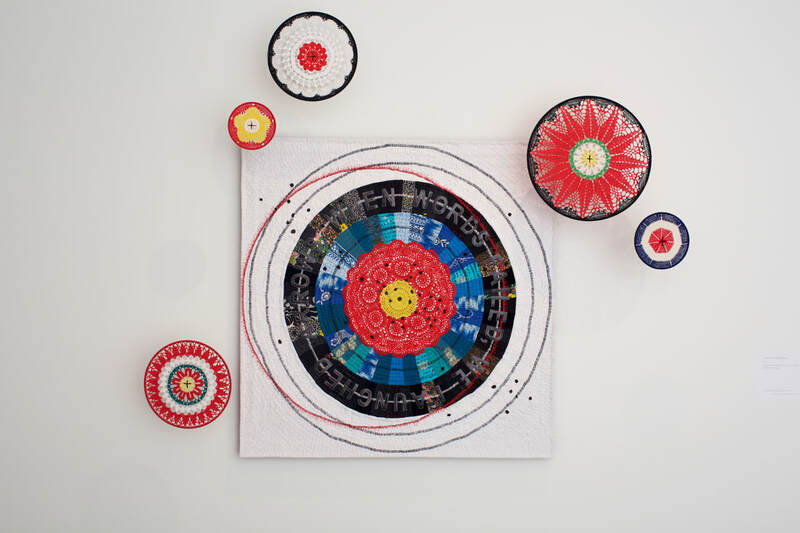 "Archers, A Personal History" (Quilt: 37W x 37H, 5 ring components: 5”-14” diameter). 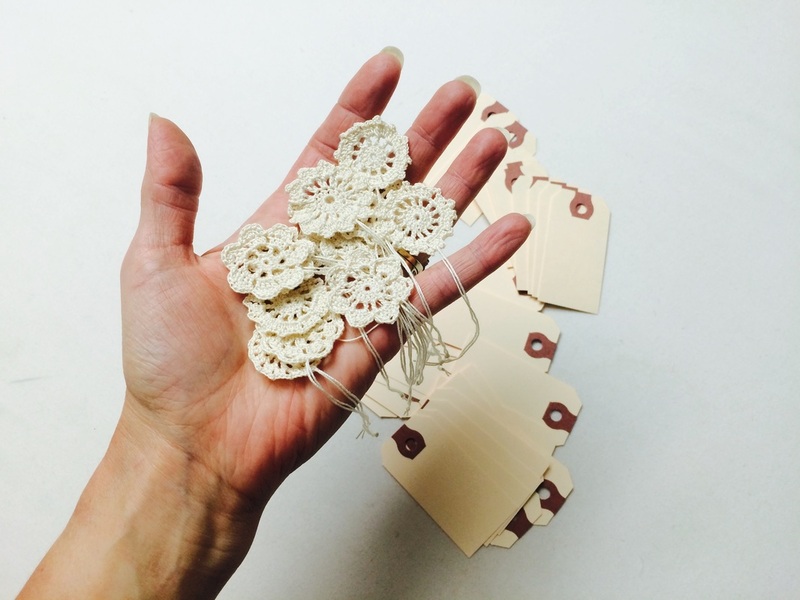 Vintage domestic/household linens & doilies, leather, brass rings, 2017. The Inheritance Project began in 2015 when a woman sent a box filled with old, hand crafted cloth “to deconstruct” any way I liked. 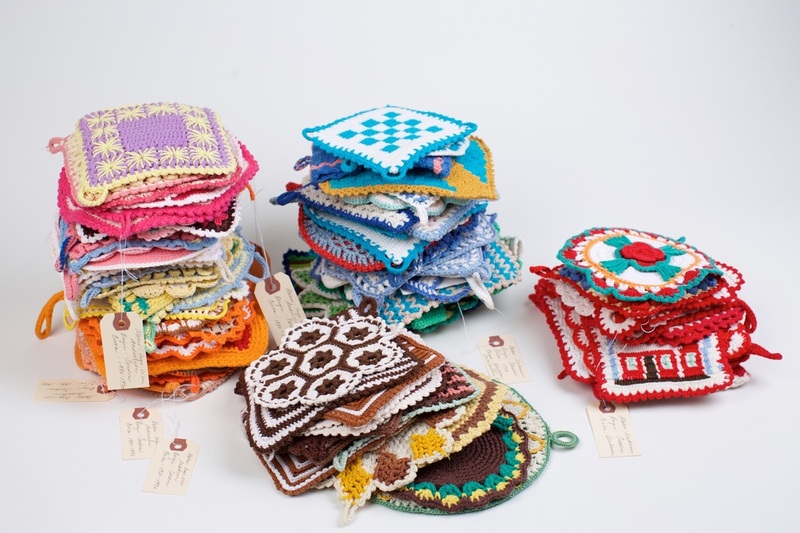 I come from a family of prolific Scandinavian needle women who sent handmade items throughout my life, but this stranger’s generous act became the catalyst for a multi-year effort to collect unused, unfinished or unwanted vintage linens. Despite asking contributors for associated histories, the majority of makers, origins and timelines still remains unknown. 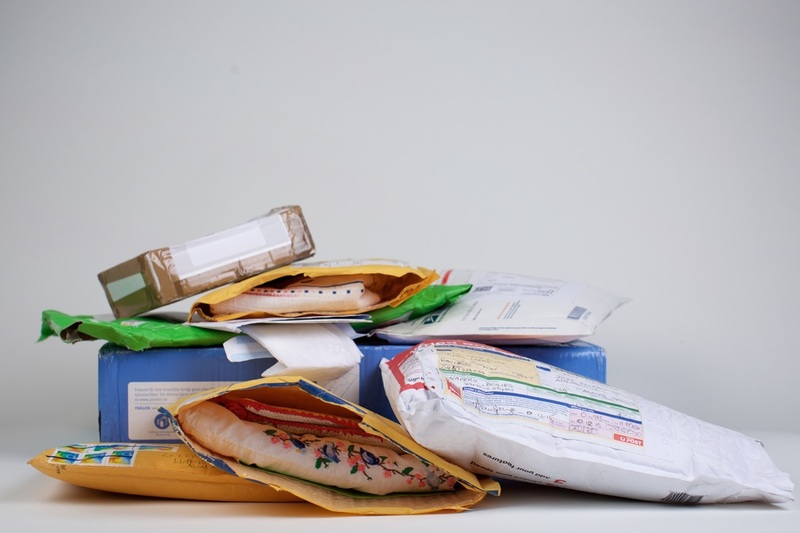 In the spirit of generosity and a resulting catharsis for many, over 70 contributors sent nearly 600 objects, with known origins representing 20 countries and 25 states. The rigorous process of corresponding, documenting and considering each piece of unrestricted cloth informed this current body of work. I became the final inheritor. These salvaged embroideries, linens and crocheted items embody the original makers’ intentions for beauty, home and possibility. Difficult to discard, but burdensome to store, this cloth was saved for grandchildren, saved for someday, with the very best saved for never. 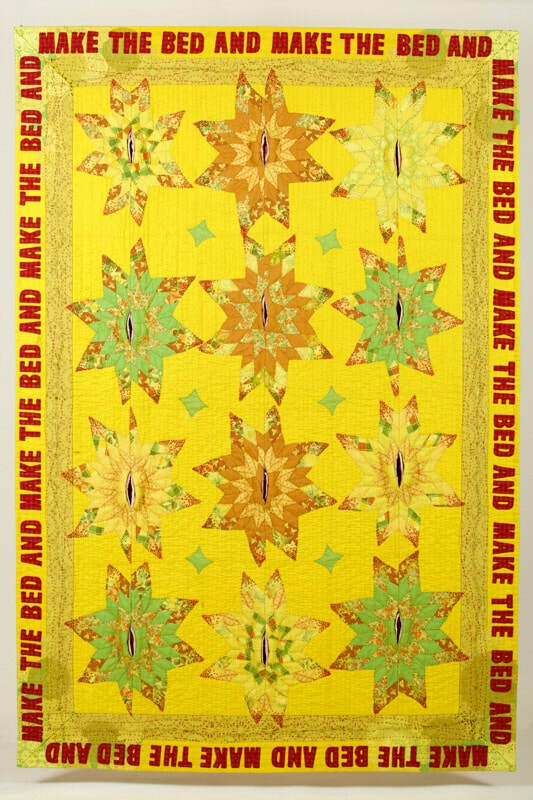 Cutting such material apart and reconfiguring it for a contemporary context meant sifting through the tangible and intangible detritus of women’s lives. Some of it speaks long after its solitary makers no longer can. 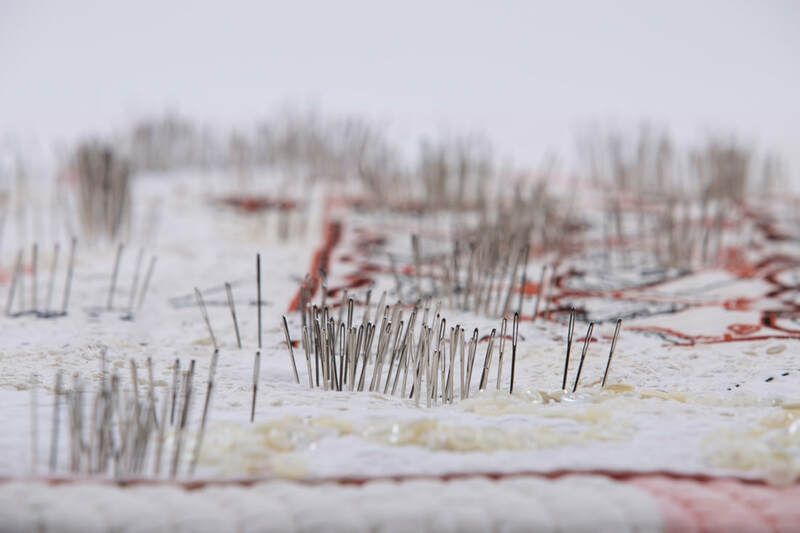 My work with needle explores this literal, physical and emotional work of women — gathering the collective murmur in women’s handwork and combining it with my own to generate a new mythology. 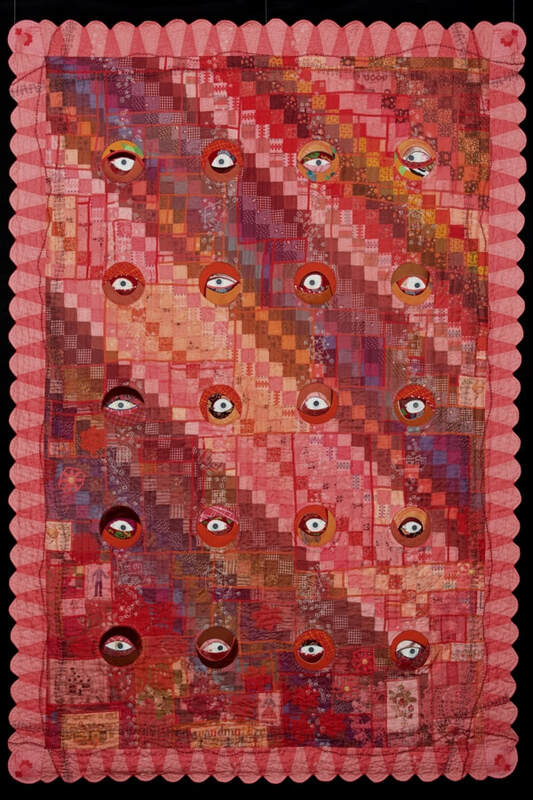 I approach this textile work with traditional skills and time, confronting an expectation of beauty with a raw female gaze. The resulting narrative does more to reveal an emotional truth about a life than any partial or assumed history. Completing a story feels human, crafting by hand even more so. Despite conflicted emotions around inherited objects, ideals and perceptions, we continue this potent ritual of insisting what we create has value, even if useless, unwanted, outdated — even if conjured from scraps of a life. 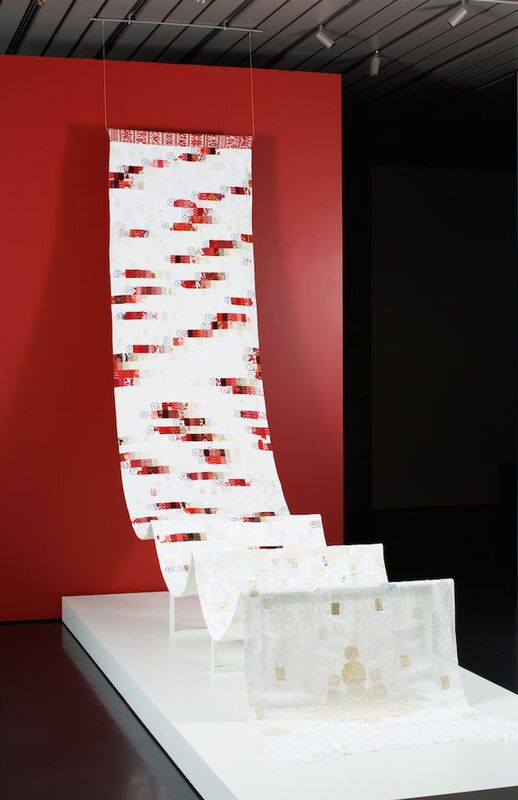 Fiber Art Now, Amy Meissner | Re/Generation, by Anne Lee, Vol. 7 Issue 3, Spring 2018, pp. 32 - 35. Forum: The Magazine of the Alaska Humanities Forum, Transformed by Needle, by Debra McKinney, Spring 2018, pp. 10 - 17. Lee Ann Walker, Boel Werner, Kate Bowles, Roxanne Lasky, Olga Norris, Natalya Aikens, Inger MacRae, Mo Orkiszewski, Adrienne van Spanje, Tina Thuermer, Jeanna Duryee, Anna-Britta Andersson, Ingrid Hedman, Teri Hedman, Helen Geglio, Liz DeVree, Terry Parker, Bobbe Nolan, Gee Gee Erickson, Christine Byl & Gabe Travis, Tess Wentz, Lynne Bateson, Oma, Funkarella Farms, Lorie McCown, Lous & John Brubaker, Nikki Senecal, Nancy Gehm, Susan Schapira, Rebecka Greberg, Marianne Hellquist, Aude Franjou, Shehla Anjum, Diane Melms, Kelly Lorraine, J.M., Carrie Payne, Michelle P., Marolyn Cook, Diana Weymar, Ann Anderson, Jan Tetzlaff, Ágnes Palkó, Beth Brennan, Debra Steinmann, Nancy Frazier, Lynette Fisk, Ann Duggan, Lee Ann Bartolini, Kathleen Probst, Sherri Douglas, Tracie Savo-Bolack, Suzanne Williams, Tammy Hennessy, Jill Isakson, Denise Elaine Mongeau, Lara Ferguson, Linda Robinson, Karla Carpenter, Jan Livingston, Judy Kirpich, Carol Larson, Ann McNeely, Anonymous, Ina Braun, Wendy's neighbor, Marcia Cohen, Carol Lambert, Dennis Anderson, Cole Askevold & Ruth Askevold. Olga Clark, Maybe Natalya's Russian Grandmother, Veeda Pearl Duryee, Sarah Brookfield, Inga-Lisa Andersson, Christina Andersson, Anna-Britta Andersson, Nanny Andersson, Helen Smart, Helen's Aunt Alyda, Amelia, Alice Hedman, Martha Bakker, Rena Scheeres, Aunt Hattie, Maybe Lorie's Grandma or Aunt, Natalya Khorover, Lous Brubaker, Nikki Senecal, Ada Maier-Gehm, Maybe Ruby, Alfhild Brogren, Yvonne Engel, Julie Bourrel, Maybe Alida Chopin, Bernice Tencza, Poe Jean Mei Sze-Tu, C.F., Unknown Chinese Factory Workers, Roxana Keller Brakeley, Pearl Arnold, Zelda or Zora Goda, Ruth Brennan, Grandma Eva Baker, Genevieve Chastain, Great Grandma Mary Frazer, Joanne Scofield, Mary Petri Newman, Lynette Fisk, Laura Newman Krumm, Ruth Krumm Baumgarten, Juliette Delaverhne Bartolini, Lydia Augusta Anna Miller Douglas, Arunthip (Opal) Luechoowong, Lena Scinto-Ferraro, Minnie Baumgarten, Anis Cales, Tammy's Mother, probably Jill's Sister-in-law's Family from Oklahoma, Possibly Denise's Best Friend's Grandmother, Carol Ann Gray Mongeau, Lara Ferguson, Cora May Torrey, Grandmother Helen Brewster Allured, Great Aunts Gertrude & Caroline Brewster, Mother Nancy Burbank Allured, Jennie Dolinar Usenichnik, Grandmother Ruth Akers Dory, Grandmother Frances, Hettie Collie Nickell Harrison + as many as 500-550 Makers Unknown (based on items received). The 26th boxes of mystery. The final boxes of mystery. The 22nd boxes of mystery. The 20th boxes of mystery. ​The 19th boxes of mystery. The 17th boxes of mystery. ​The 16th boxes of mystery. ​The 15th boxes of mystery. ​The 13th boxes of mystery. The 11th boxes of mystery. The 6th boxes of mystery. The fifth boxes of mystery. A second box of mystery. My gratitude to the many contributors of vintage linens and narratives for this project. I was deeply honored to receive your histories.